This modern chair in leather with the height adjustable headrest makes the sitting experience ergonomic and gives your spine good support in the right places. 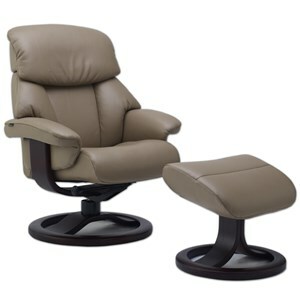 It is available with a base that has a 360° swivel. The base is produced in laminated, stained wood and you can choose from five finishes. The Alfa 520 Small Contemporary Recliner and Ottoman with Padded Arms by Fjords by Hjellegjerde at Rooms and Rest in the Mankato, Austin, New Ulm, Southern Minnesota area. Product availability may vary. Contact us for the most current availability on this product. Warranty Our material and production control provides you with a 10 year guarantee on all steel components and 5 years on foam, plastic and wood constructions. The 520 Alfa is distinguished by a gentle, organic design, expressed by the harmonic interaction between the leather and the elegant lines of the wood. This group is equipped with the Active Release System™, which provides the correct neck support in all positions. 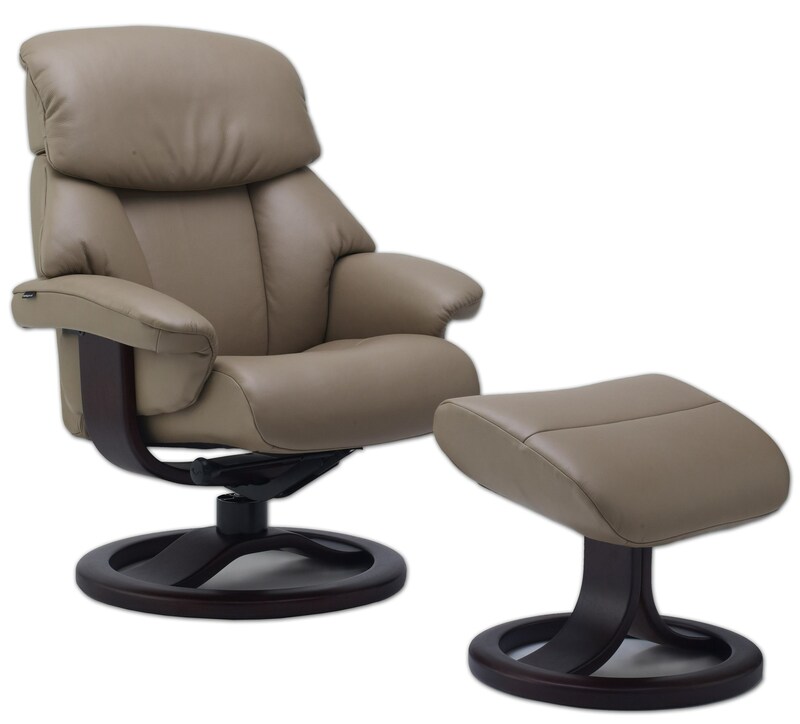 Superior comfort is further offered with the individual reclining action of each seat. This stunning collection offers exciting furnishing opportunities. The Alfa 520 collection is a great option if you are looking for Contemporary furniture in the Mankato, Austin, New Ulm, Southern Minnesota area. Browse other items in the Alfa 520 collection from Rooms and Rest in the Mankato, Austin, New Ulm, Southern Minnesota area.